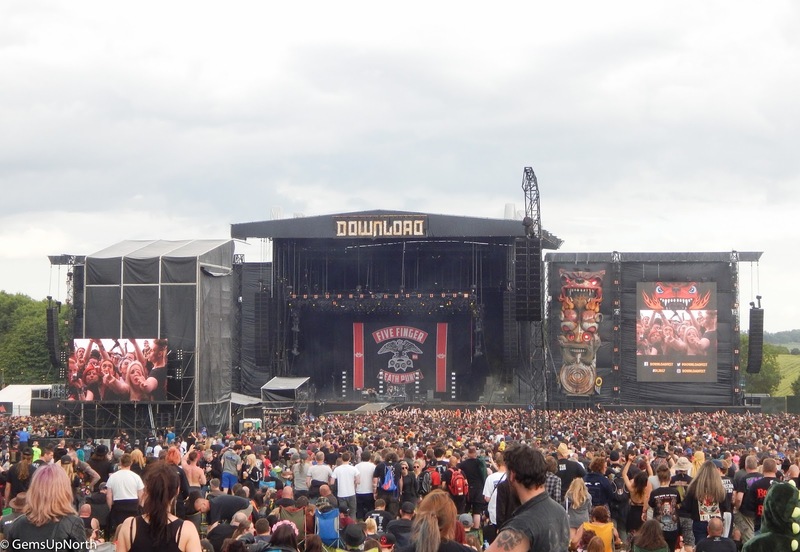 Can you believe it's been a month since Download Festival? 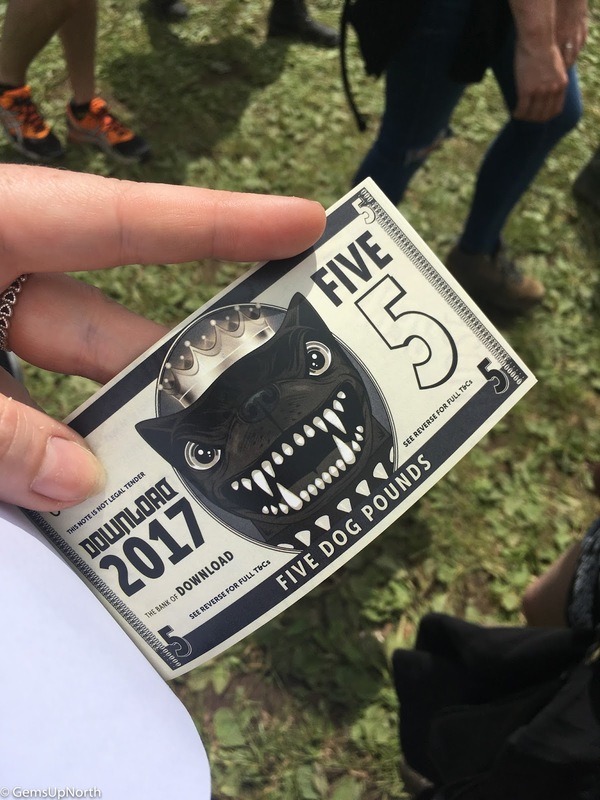 I'm still feeling the festival blues and already planning next year! Back in December I received a message from Download to say that Santa Paws would like to send me a present, I of course checked this was legit then went ahead and accepted. A few days later a parcel arrived wrapped in Download paper with a Download Dog plush toy and a gift card for 2 tickets inside!!! I was so overwhelmed and excited at the same time, this parcel actually arrived the day after I came home from hospital after my operation so it really cheered me up. 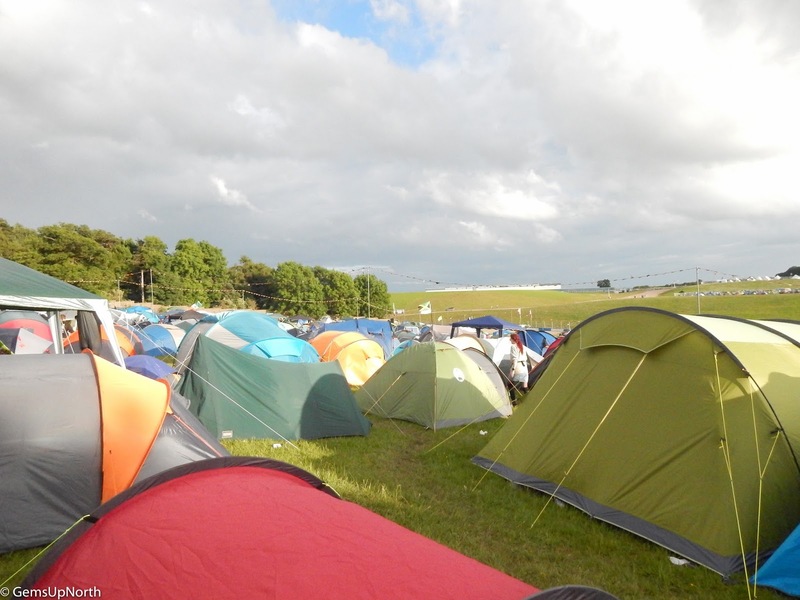 June soon came round and it was Download week, the tickets I'd won was for 3-day camping but I still headed down to Donnington on the Wednesday; once I got there I was able to upgrade my tickets to 5-day camping for just £15.00. Just like last years festival the queueing system to get into the festival was much better than other years, as this was the first time I'd arrived in a car from the car parks I entered into the main queue from the shuttle bus entrance. I'd say we was queueing for 45 minutes tops which is fantastic! We was all through the village and onto gold camp in no time; gold camp has been our Download home for the past 4 years, we've even camped in a similar spot each year. Wednesday is arrival day, set up day and find your bearings day as well as recover from all the heavy luggage you've just carried. 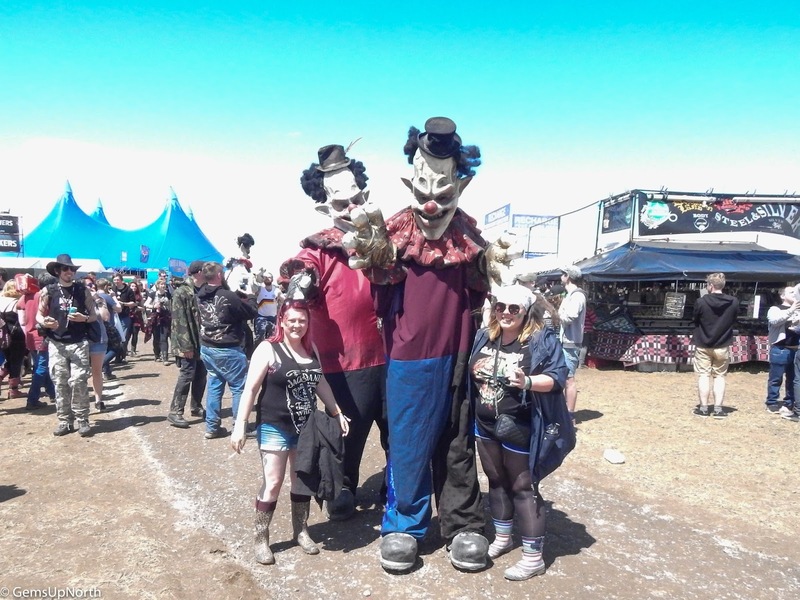 We cracked on a BBQ and had a few drinks then headed into the village to catch the first show from Circus of Horrors in the Doghouse. 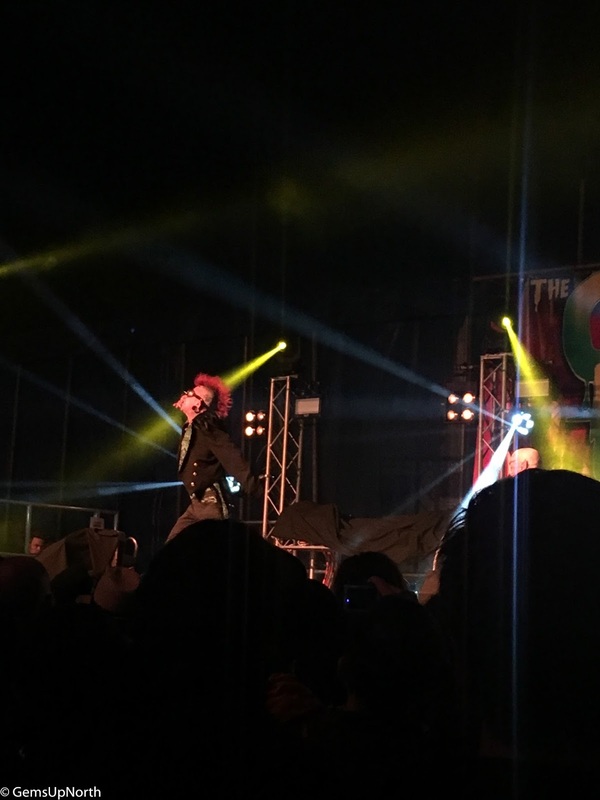 CoH are one of my favourite acts to watch, they have a range of performers from Hannibal Helmurto a sword swallower to Anastasia the 4th walking on blades to Captain Dan opening a beer with his eyelid, all in Dr Haze's freakshow. If you didn't catch CoH at Download then make sure you check out one of their shows elsewhere; it's not to be missed. Thursday was a lot more chilled since we was all set up at camp and knew our way around the place; we decided to take a good look around the village. 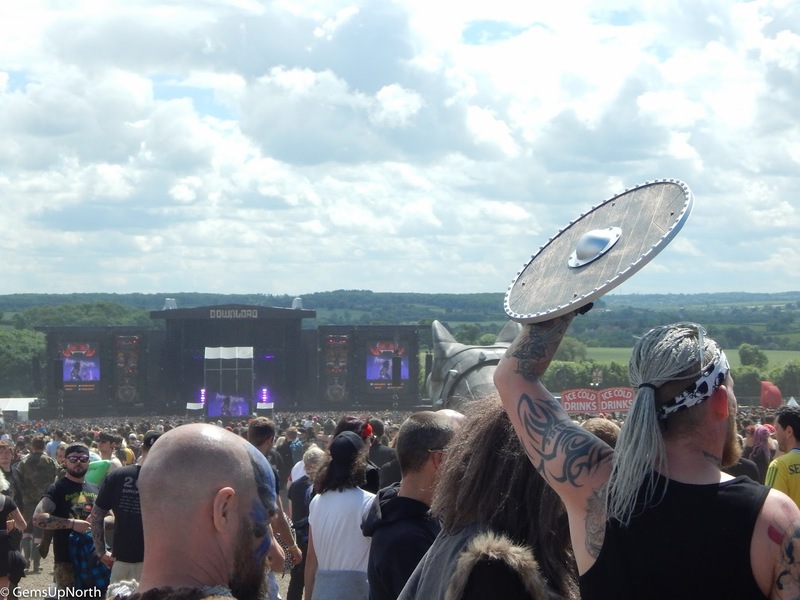 Shopping at Download is a highlight for me, I feel it adds to the whole weekend and I'm able to buy things I wouldn't always pick up at home. This year the village felt a little smaller to me but still had all the regular festival stalls, supermarket, food vendors and fairground rides. There was even some clowns walking around; I kept at a safe distance, haha! 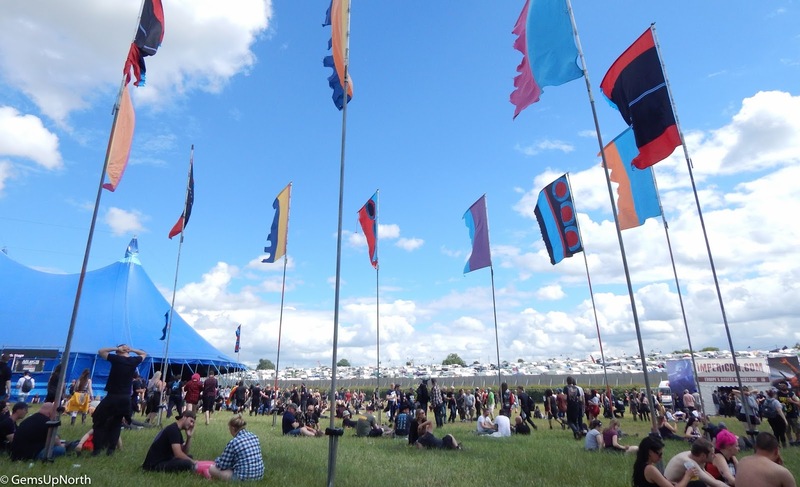 Friday, the arena opened and we was able to explore the stages, stalls, food and other tents. The queue to get into the arena on the Friday was worst than the other days but it wasn't too bad of a wait, I understand they was checking everyone bags but I didn't have a bag so was able to go down different queue to enter the arena. 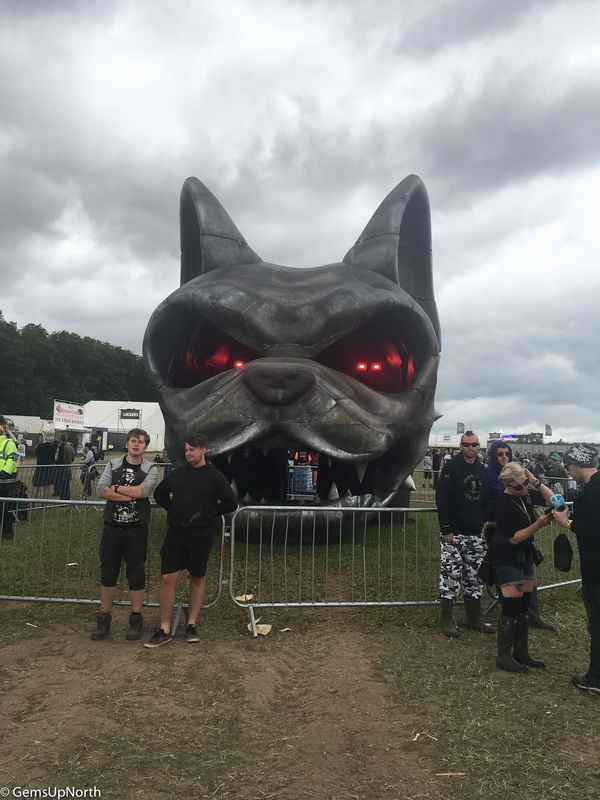 The Download Dog head was in pride of place again at the top of the hill but it didn't look like we could go inside of it this year but it's the outside of it thats the work of art. 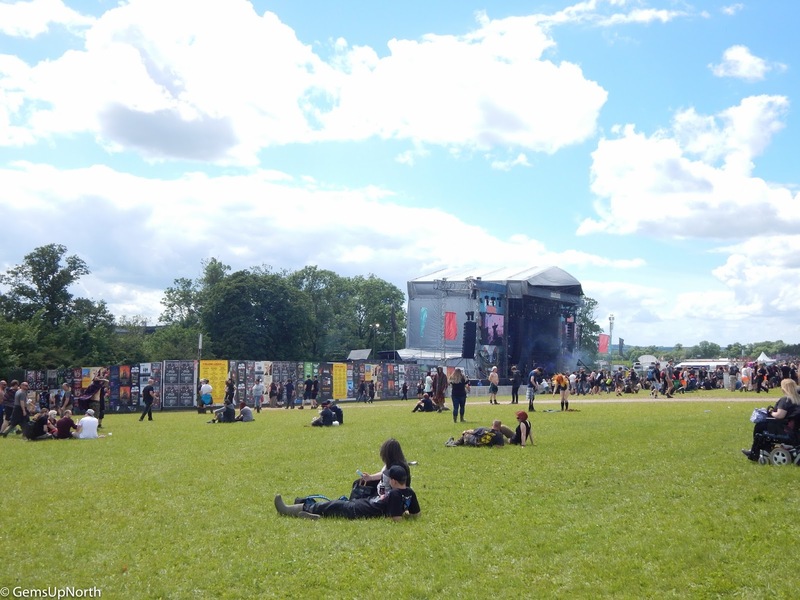 The arena had a reshuffle this year and there was an extra pathway from the left side of the Zippo stage to the Avalanche stage, this worked really well and was great for stage runs to catch more bands. Near the Avalanche stage was the Wrestling tent, a bar, street food stalls, the tattoo artists and more shopping tents. 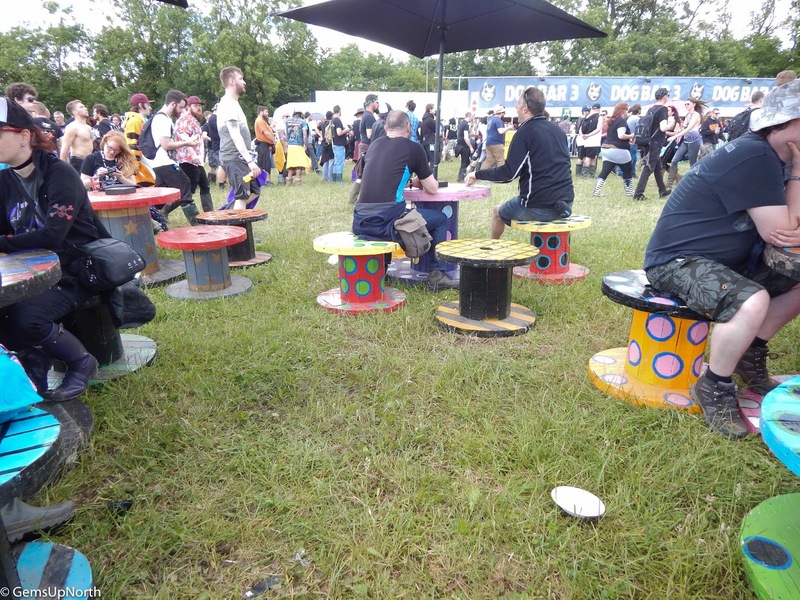 This area also had my favourite festival food; the Chicken Rotisserie, this is really good value for money, half a chicken and roast potatoes for £8.00! There was a few bands on my schedule on the Friday including, Good Charlotte, State Champs, Sum 41, Five Finger Death Punch and System of a Down; I was lucky and caught all of these bands but not all of their full sets. 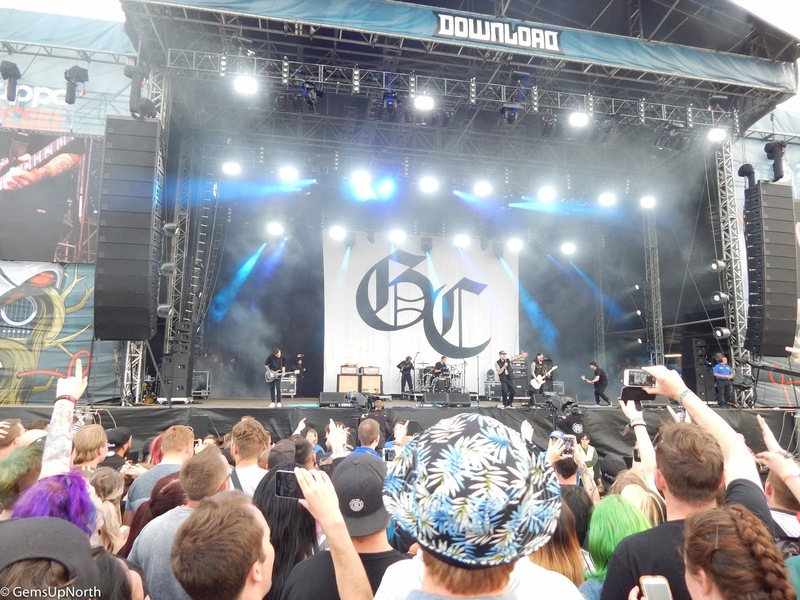 Good Charlotte and System was the highlights of my day though, GC where absolutely fantastic and really impressed me, I've been wanting to watch them for years and got quite close to the front so this made the experience even better. 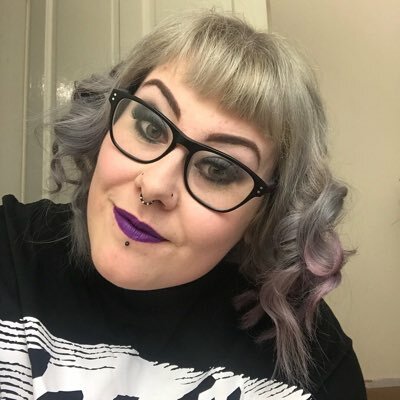 I'm planning on getting tickets for the Manchester show in December. After GC, Sum 41 headlined the Zippo stage so I watched them for a bit before heading over the main stage for System who also blew me away, their performance was amazing. I was able to hear all my favourite songs from them and only missed one whilst at Sum 41, I was really impressed that they sounded just like they do on their recorded music; I find some bands sound so much different live and its sometimes a let down but its safe to say System didn't let anyone down. 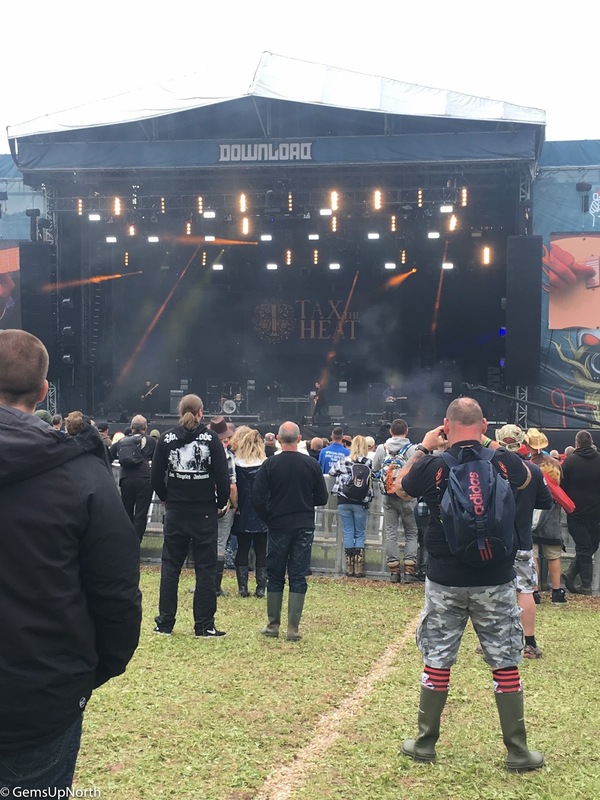 Saturday started with some breakfast at camp then heading into the arena for a busy day, first up was to catch 'Tax the Heat' on the Zippo stage, I've seen Tax the Heat before when they supported Royal Republic earlier in the year. They was even better on the outdoor stage than they was at Manchester Academy, people was walking past and stopped to watch them so they drew a pretty big crowd in. Creeper was on the main stage straight after so whilst walking around I was able to see these guys too however I'd love to watch them in a gig space. It was back to the Zippo stage after Creeper for Alestorm who gathered a massive crowd and was hilarious to watch, everyone was dancing and singing and just having a damn good time. We had a little bit of time before the next band so used this time for shopping, I was able to pick up my Download vouchers from the loyalty scheme on the Friday so I had £40.00 to spend on Download merchandise or food and drink in the arena; I wanted a Download hoodie but I wasn't a fan of the design this year so picked up a DL tee and programme using my vouchers. 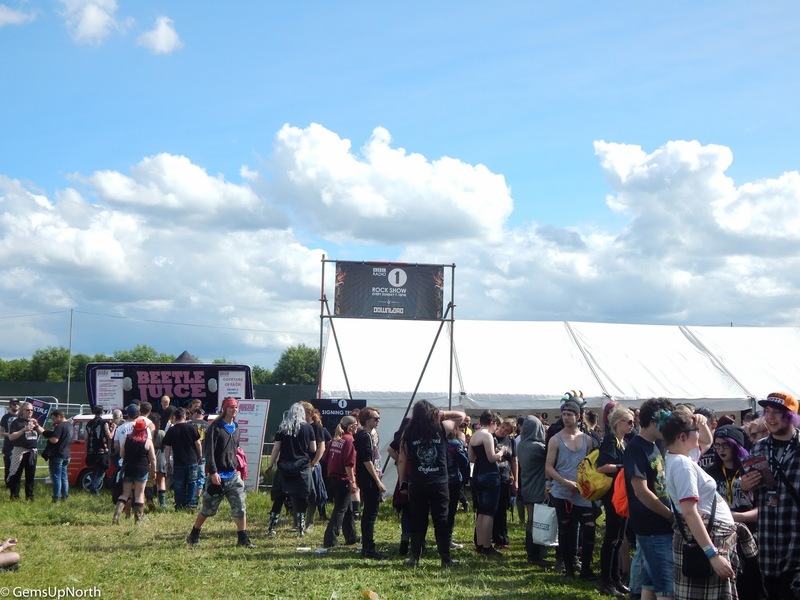 We checked out all the other stalls, there was some familiar stalls there from other years selling the usual festival clothing and also some independent tents like Offend Your Eyes, Sesh and Peaked Apparel. 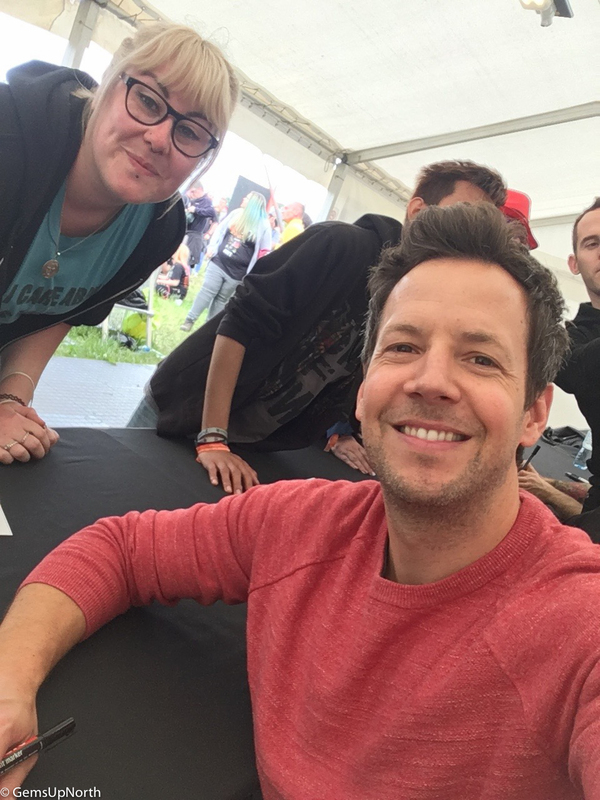 The Radio1 signing tent was out next stop, Simple Plan was in there at 4.00pm so we went to join the queue earlish to make sure we got in and its a good job we did as we only just made it into the signing area and Simple Plan did stay an extra 10 minute so thanks guys. All of them was super friendly and Pierre was taking selfies with people and Chuck high fived me when I said I'd be at the front at their set later; which I was btw. So happy I was able to meet these guys, I've been a fan of them since being teenager so it was like a teenage dream come true. The only time I was in the Dogtooth stage all weekend was for The Lounge Kittens who need a bigger tent next time, such a fun and impressive band to watch; I'll definitely be watching these gals again. AFI was on the main stage so we had a sit down on the hill and watched them before Coheed & Cambria was on the Zippo stage, after watching these at Leeds Fest last year I wouldn't miss them again; I also love the lead singers voice! 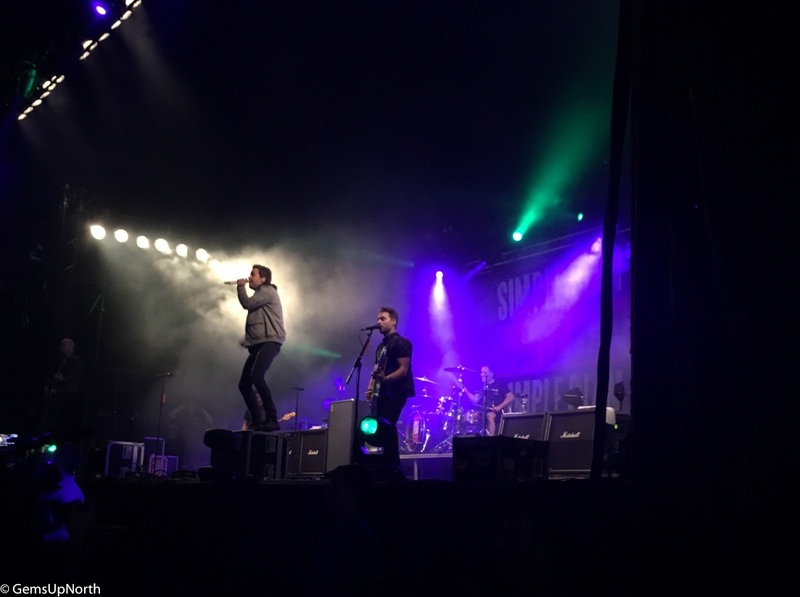 After some food (some delicious Mac & Cheese) it was time for Simple Plan to headline the Avalanche stage, me and my mate made our way to the front just as I'd told Chuck (the drummer) and partied so hard, jumped and danced til it was over! I'll never not watch Simple Plan whenever they are performing close by or at a festival. SP finished a little earlier than the main stage so I was able to see Biffy Clyro end the night brilliantly. 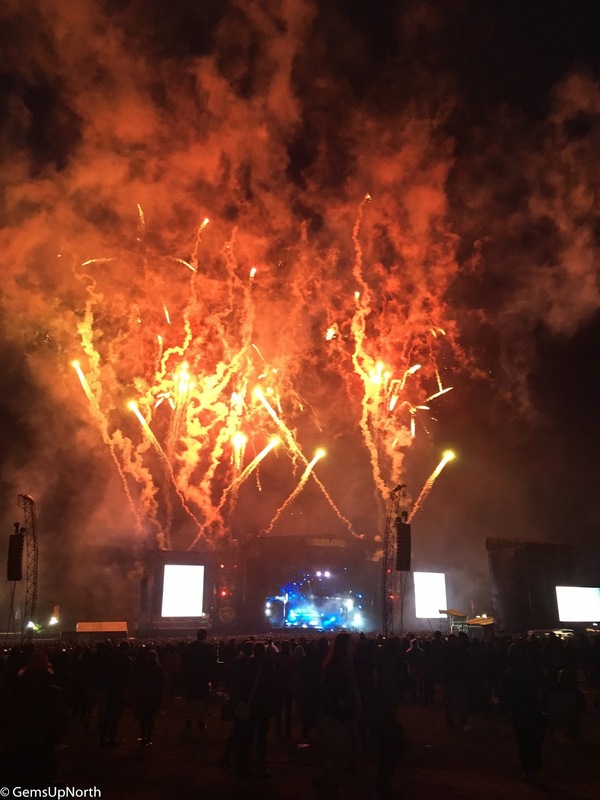 It's always a pleasure to see Biff live and they really did go all out for the Saturday headline spot, there was even fireworks at the end lighting up the sky. A perfect end to a perfect festival day! 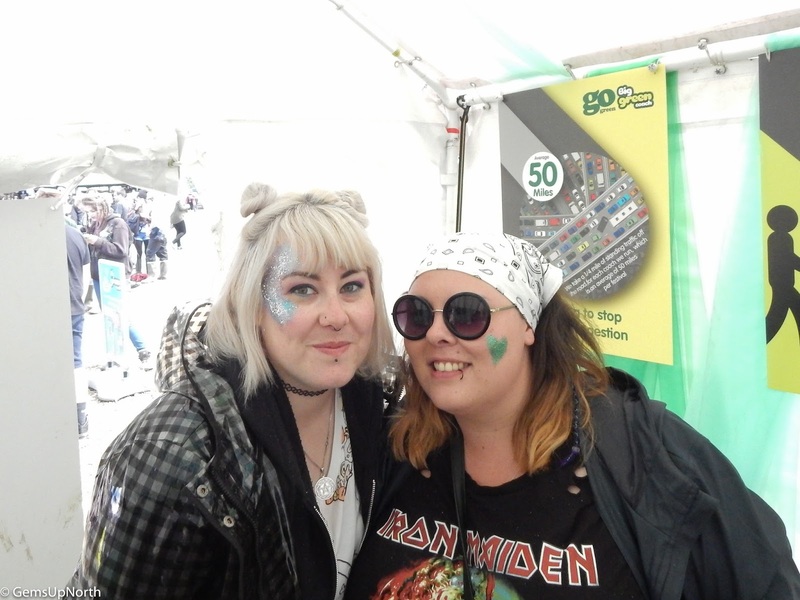 Sunday the last day :( not all sad faces though, Sunday was Steel Panther day and they was in the signing tent!! 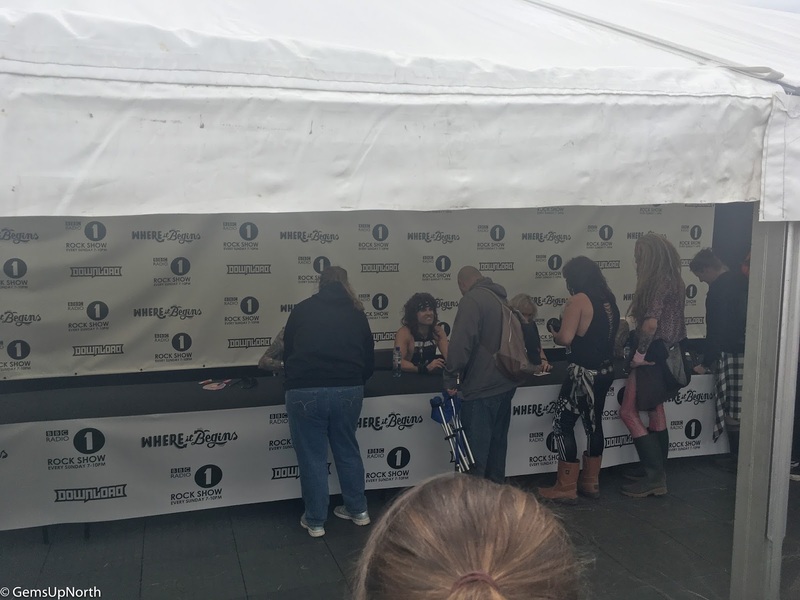 I headed into the arena to queue up around an hour and half before they was signing but the queue was massive and unfortunately I didn't make it into the tent but still got to see them closer than normal and look forward to their set later that day. We had a hour or so to have last look around the stalls, I picked up a new sliver skull ring from the jewellery stall; I've bought a ring from this same shop each year for 3 festivals. 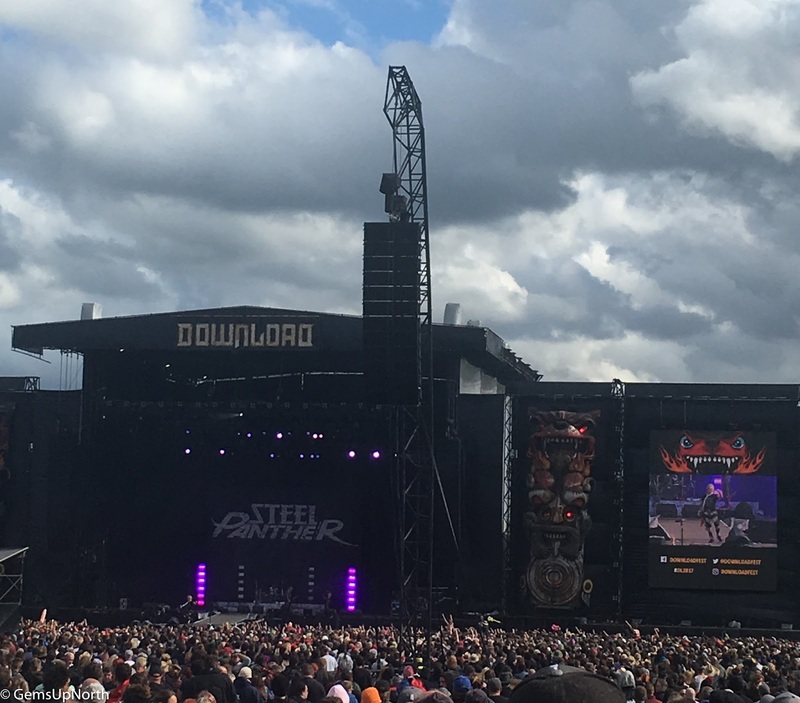 5.00pm came round so quickly and it was Steel Panther time, without a doubt one of my favourite bands to watch, so rude but so funny and enjoyable; one of these times I'll be close enough to get on stage when '17 Girls in a Row' comes on! After Steel it was food time so we headed to the Chicken place again but as it was Sunday they had stuffing available too which was just as delicious as the rest of the dish. Sunday was my quietest day for bands buts still enjoyable, before heading back to the main stage to stay there for the rest of the evening we went to the Firestone stage to check out the spin the wheels game, we had a go and didn't win but was given a gym bag and mobile phone fan anyway. 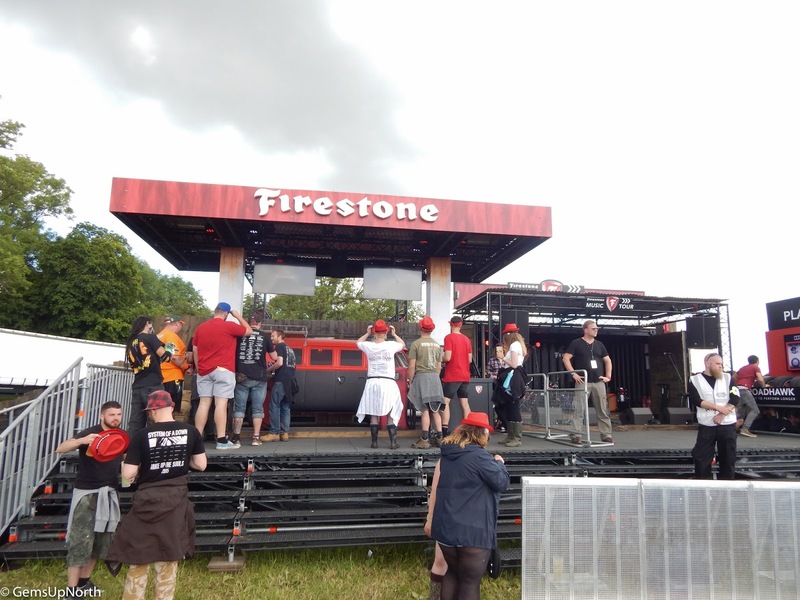 The Firestone stage was open all weekend and had car-oke on where you sing in a hippie van and its filmed; quite a laugh. They also have bands performing all weekend too. 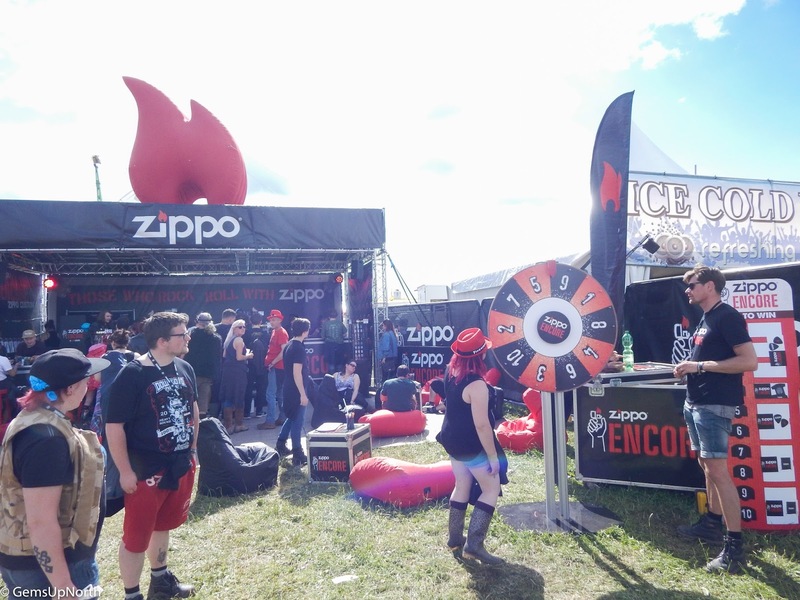 The Zippo tent is a little like the Firestone one with freebies to be won and things to do, they have a spin the wheel game where I won a bandanna and plectrum. We found a spot on the hill ready to settle in for Alter Bridge and Aerosmith. 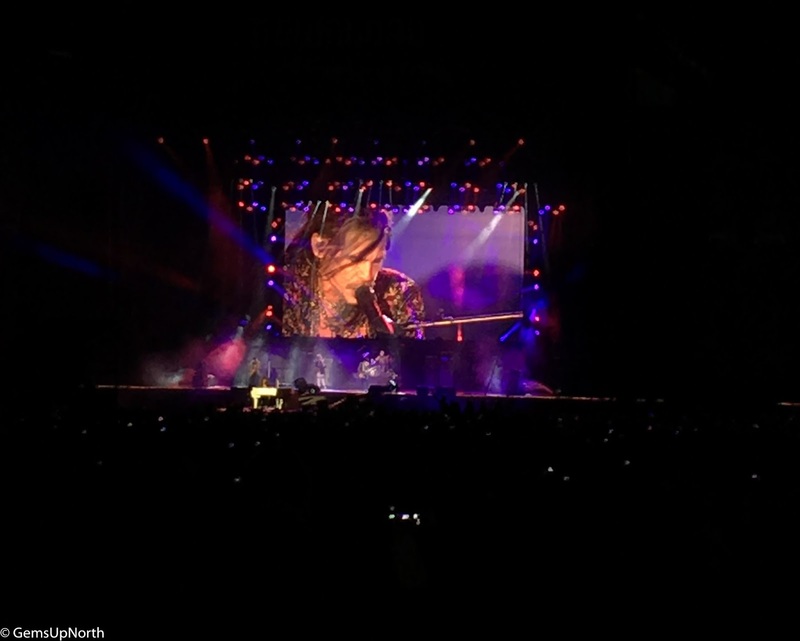 This was my second time seeing Aerosmith after watching them at Download in 2014 but this year was their farewell tour so it was great to see them again. Their set started with old album covers and images on the screens then the band came out and performed amazingly, Stephen Tyler was running around the stage at 69 years old!!! He ended the show with the rest of the band on stage with saying 'We have no more songs for you tonight' thats really stayed with me, being the last show it was pretty emotional. 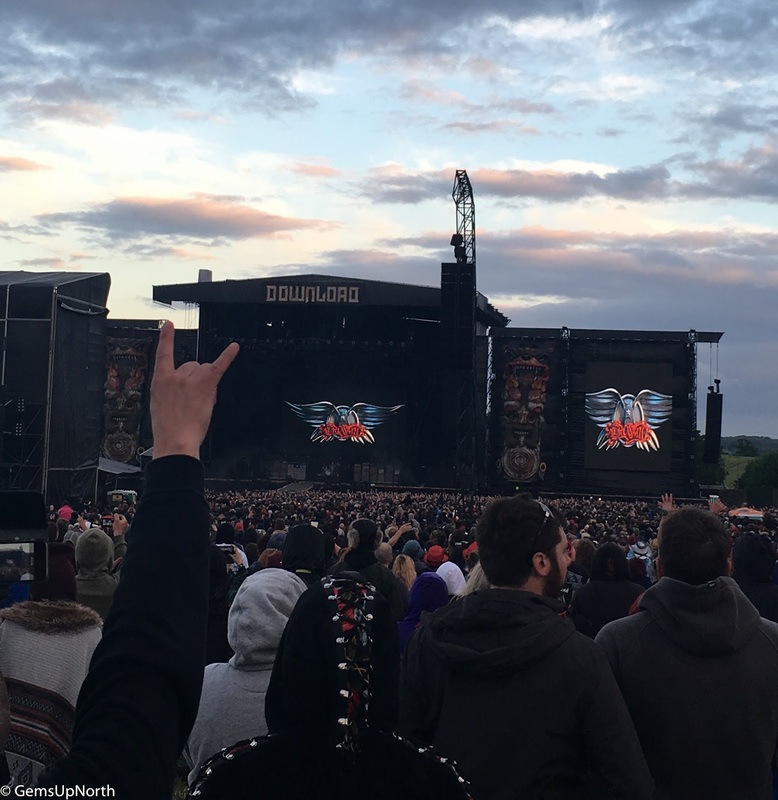 Aerosmith ended Download 2017 beautifully and everyone left the arena singing and with happy faces, just how it should be! Camps always a little quieter on the Sunday as some people go home but we had another night to catch as much sleep as possible before our journey home. 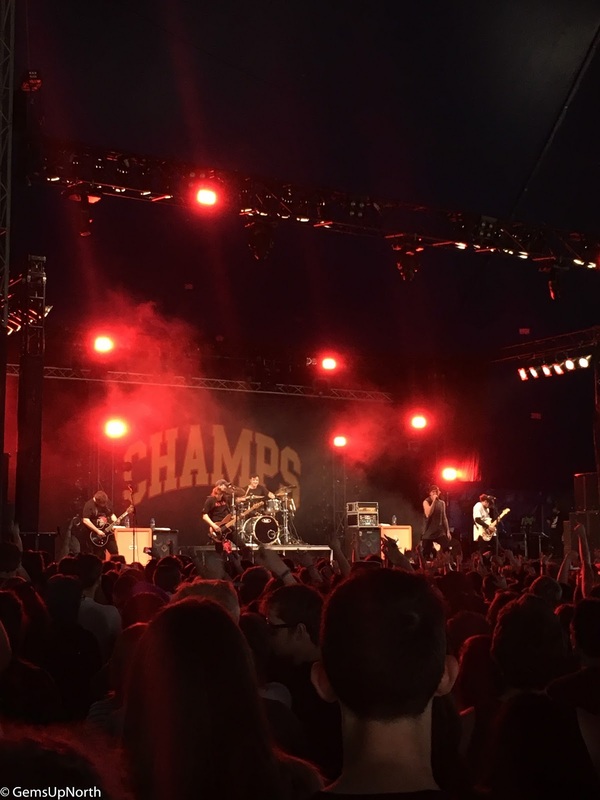 We spent the drive home talking about Download 2018 and weather or not to try RIP next year. The DL love never ends, as soon as one years over we're planning the next. Thanks for being my festival home Download and thanks for the tickets this year!! !